It’s the end of October and we should be having cool weather and bonfires. Instead, we have temps in the 80’s! 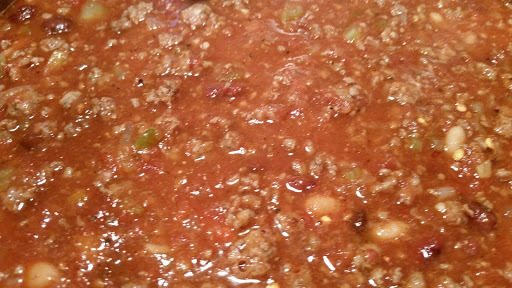 While there is nothing I can do about the weather, I can make a pot of one of our favorites….chili! 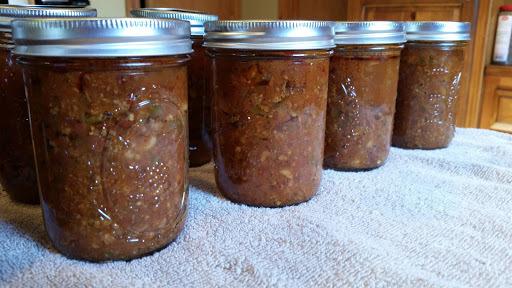 I made a very large pot of chili so that I could can some to add to our meals in jars. As I started gathering all my ingredients, I realized I didn’t have enough chili powder. I didn’t want to go to the store so I began adding and improvising. This is the result and it was quite good. 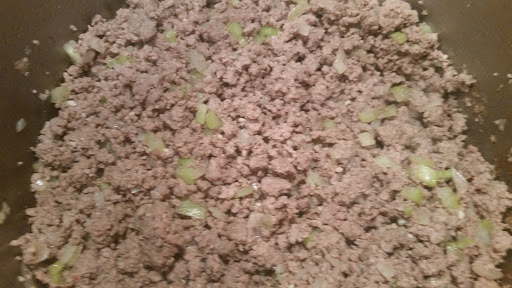 In a large pot, brown the sausage and beef with the celery, onion, and garlic. Drain well and return to the pan. Add the Rotels, tomatoes, and salsa. Mix well. Add the remaining ingredients and bring to a simmer. Let simmer 45-60 minutes to thicken the chili. We serve ours with cheese, sour cream, and corn bread. 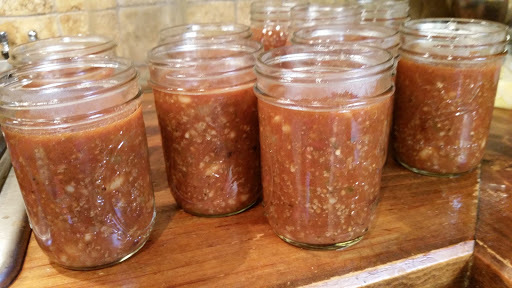 If you wish to can this, just bring all the ingredients to a simmer and ladle into prepared pint jars. Wipe the rims with a paper towel dipped in vinegar to remove any food and oils that may be there. 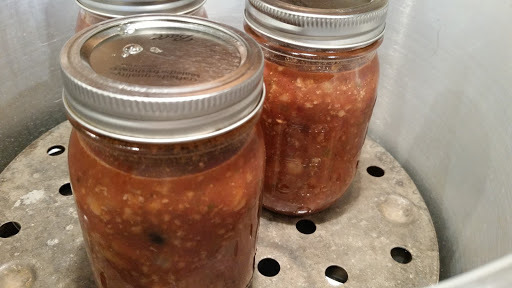 Add two piece lids and process in a pressure canner for 75 minutes. REMEMBER TO FOLLOW GENERALLY ACCEPTED CANNING PRACTICES AND REFER TO YOUR MANUFACTURER’S INSTRUCTION MANUAL FOR OPERATION OF THE PRESSURE CANNER. This yielded enough chili for lunch plus I was able to can 10 pints. Previous Post: « HE’S HERE!